I love me some holiday season. 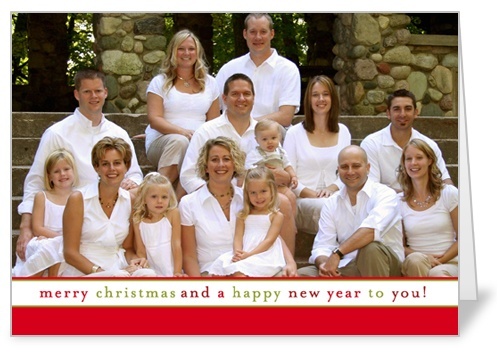 Usually, I forget all about our Christmas cards until I receive the first one in the mail. Then, I end up scrambling last minute trying to figure out when/where/how we’ll take our picture and what design I like best from the latest Shutterfly collection. My husband set up a makeshift tripod (table with books stacked on top) and we took 20 or so images before we finally gave up. 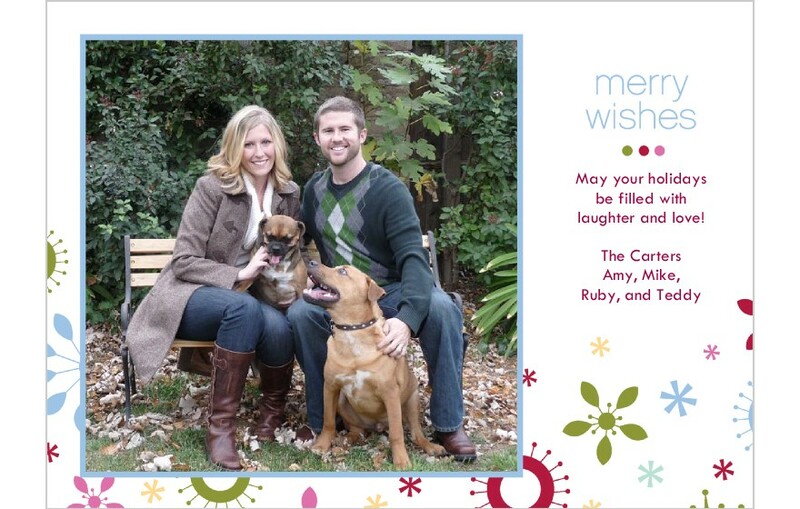 Without a third party there to call the dogs, there is basically zero chance they will be looking at the camera. You can see that the only thing they want to look at was each other (Teddy looks like he’s ready for a Ruby snack). I love this Vintage Plaid card. I have a soft spot in my heart for plaid. I love this classic design. It would work really well with what I have planned! Shutterfly is also a great place to order holiday gifts for your friends and family! I especially love the wall calendars, photo books,or canvas wall art! Blogging friends! Want 50 free holiday cards? Click here! I loove Shutterfly too! I always use them and they have all my addresses stored so they can stamp and mail them for me. So easy! I'm trying to think about what I want to do this year too. If you want me to come over and take the picture I totally would love to! I usually make Roxanne or my brother take our picture, LOL. I was checking out tinyprints holiday cards yesterday and they also have a really good selection! just posted about this! Hmmm choices choices!!! Christmas at the Ranch, part 2. Contact me at amyc83 at gmail dot com for rates.